When users find value in the features you build, they’re more engaged in your product and more likely to renew and advocate. But a recent Pendo study suggests that the vast majority of features are rarely or never used. In fact, software companies invest up to $29.5 billion every year developing these underutilized features. Agile and continuous deployment practices have accelerated delivery of new features. 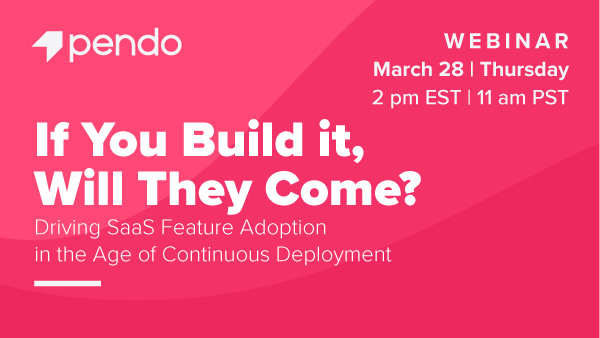 But continuous deployment needs to be paired with continuous adoption practices. Otherwise, you may be delivering innovation users are unable to consume. The role customer success, product, and marketing play in driving feature adoption and how to assess performance over time. Best practices for matching velocity in software delivery with consistent end-user adoption and utilization.